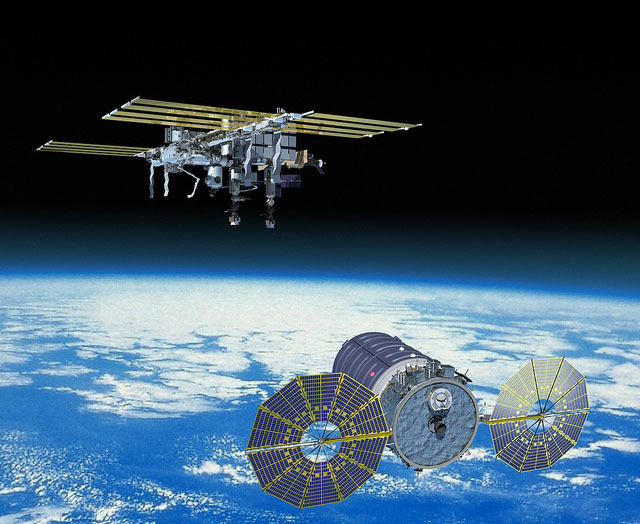 Navigation satellites, communications spacecraft, classified missions, NASA science projects and the Orbital Sciences Cygnus cargo ship destined for the International Space Station are on the United Launch Alliance manifest for the new year. It is a 13-launch schedule, featuring 9 Atlas 5 rockets, three Delta 4 vehicles and one Delta 2. Ten of the launches will originate for Cape Canaveral in Florida and three from Vandenberg Air Force Base in California. This year should see ULA meet and surpass 100 missions since formation in 2006. The tally currently stands at 91. There will also be the 200th Atlas-Centaur launch on the next mission. Jan. 20 @ Cape Canaveral: The third Mobile User Objective System communications satellite for the U.S. Navy will be launched aboard an all-powerful Atlas 5-551 configuration with five strap-on solid rockets. The mobile cellphone system will be comprised of four geosynchronous satellites and a spare when completed. 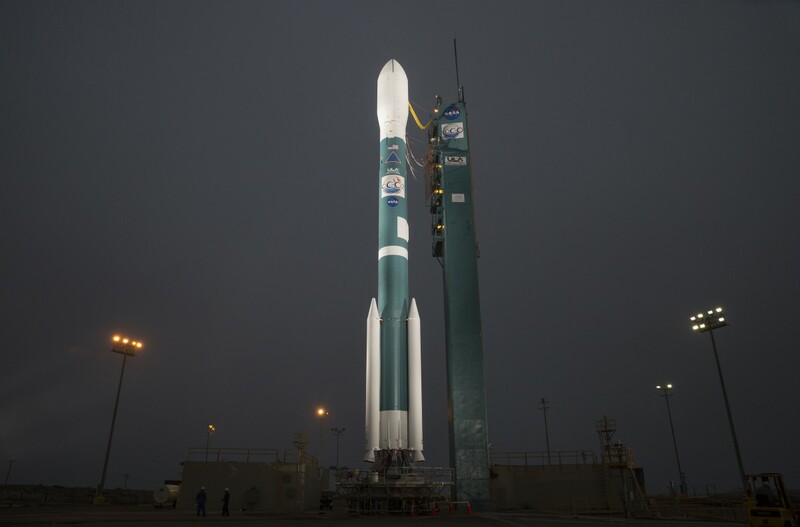 Jan. 29 @ Vandenberg: The year’s sole Delta 2 rocket launch will put up NASA’s Soil Moisture Active Passive satellite, an innovated environmental mission that will map the moisture content on land across the globe. March 12 @ Cape Canaveral: An Atlas 5 rocket will boost four identical craft into Earth orbit to study magnetic field explosions in space. Together, the quartet is NASA’s Magnetospheric Multiscale mission, or MMS. The spacecraft will fly in a tetrahedron formation, coming within 6 miles of each other, while looping around Earth to image “magnetic reconnections” or explosions in the magnetic field. March @ Cape Canaveral: The year’s first Global Positioning System replacement launch for the navigation network will occur using a Delta 4 rocket. The GPS 2F-9 bird will signal the final quarter of the Block 2F fleet to take flight. 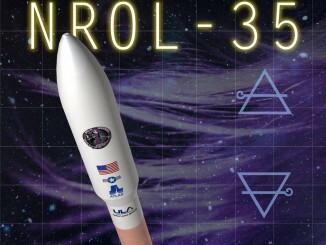 April 15 @ Vandenberg: The National Reconnaissance Office will use a Delta 4 rocket to carry out the NROL-45 mission. The NRO is the secretive government agency responsible for flying the country’s spy satellites. This will be the first of two NRO launches from California in 2015. May @ Cape Canaveral: The next flight of the X-37B Orbital Test Vehicle is planned for the mini Air Force space shuttle, boosted by an Atlas 5 rocket. After three successful missions in orbit and pinpoint landings, the orbiter returns to space for another classified flight. June @ Cape Canaveral: The launchings of navigation replacement spacecraft now switches to the Atlas 5 rocket with the GPS 2F-10 satellite. The Block 2F series forms the backbone of the GPS constellation for the next 15 years. 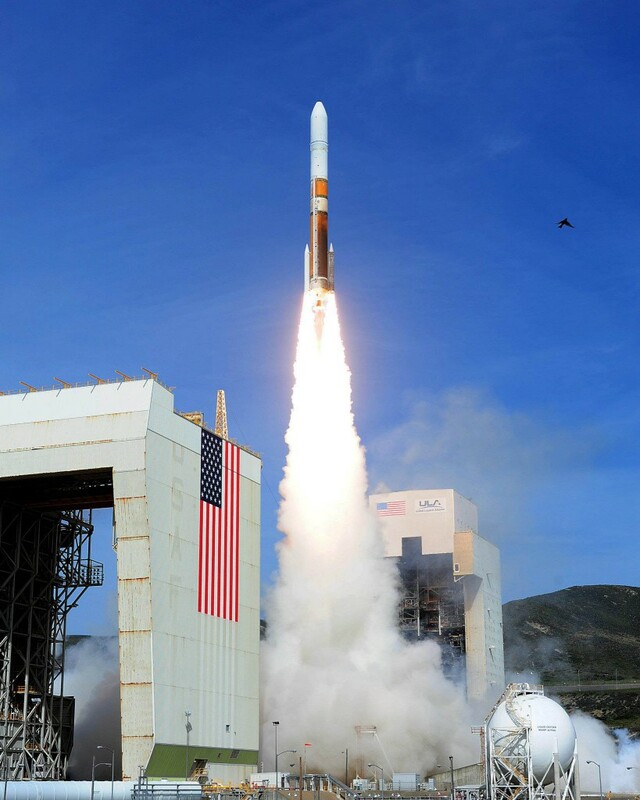 July @ Cape Canaveral: A familiar pairing of the Delta 4 rocket with the Wideband Global SATCOM communications satellite for the U.S. Air Force will take flight with WGS 7. The craft form the new military communications system to provide blanket coverage over virtually the entire planet for troops, ships, drones and civilian leaders. August @ Cape Canaveral: The fourth of the four primary MUOS satellites will be launched for the U.S. Navy aboard an Atlas 5 rocket. The Mobile User Objective System is made up of sophisticated spacecraft that creates a mobile communications network that will span the globe. August @ Vandenberg: The year’s second of two NRO launches will use an Atlas 5 rocket from the West Coast. The National Reconnaissance Office’s NROL-55 mission is another clandestine satellite deployment flight. 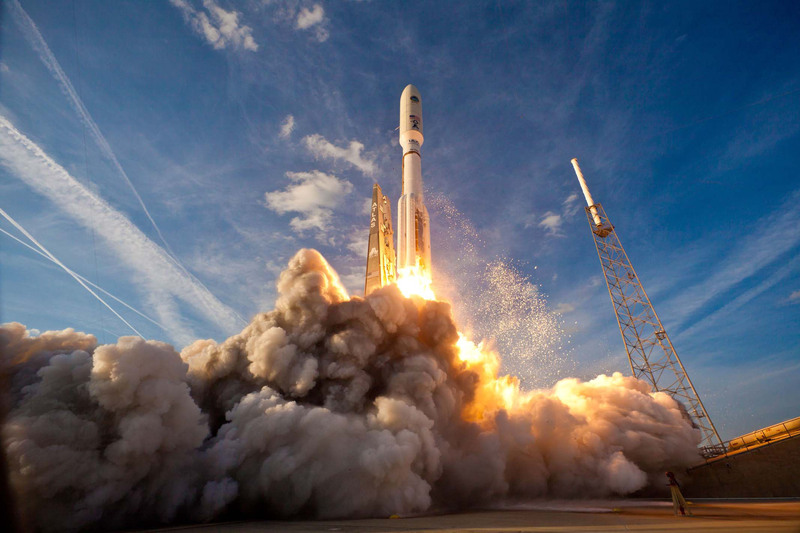 September @ Cape Canaveral: The penultimate craft in the Boeing-built Global Positioning System Block 2F navigation satellite series will ride another Atlas 5 into orbit and become the GPS 2F-11 bird. The new GPS satellite launches ensures the constellation remains healthy and robust. 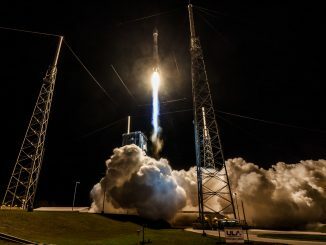 4th quarter @ Cape Canaveral: As a gap filler for the grounded Orbital Sciences Antares rocket, the company has contracted with Atlas 5 to launch a Cygnus commercial resupply services mission to the International Space Station. The ship will carry food, spare parts and experiments to the orbital laboratory complex. 4th quarter @ Cape Canaveral: The Morelos 3 communications satellite, owned by the Mexican Ministry of Communications and Transportation, will launch on an Atlas 5 rocket. The commercial mission will use the rocket’s 421 configuration, with a four-meter payload fairing, two solid rocket boosters, and a single RL10 engine on the Centaur stage. Also known as Mexsat 2, the craft will be positioned in geostationary orbit over the equator at 116.8 degrees west longitude for a 15-year service life.